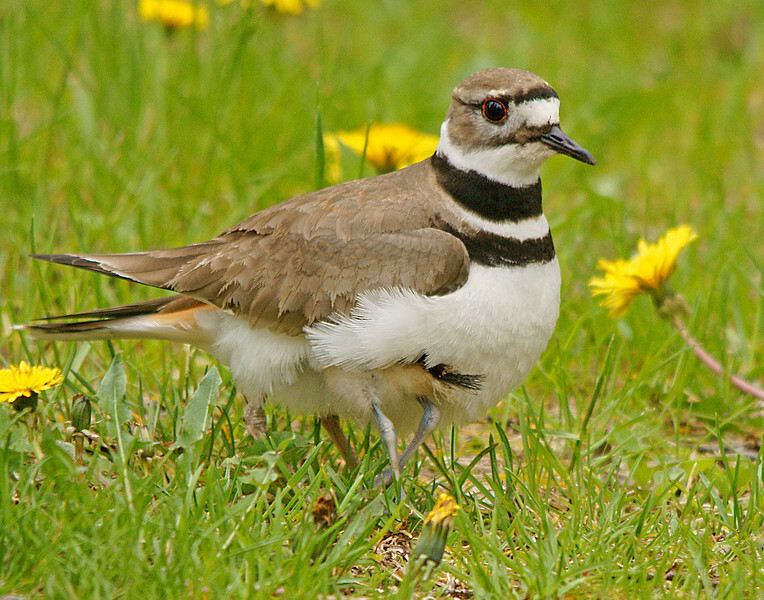 A couple of weeks ago I noticed a pair of killdeer hanging around the beach in front of the Grand Marais municipal campground. 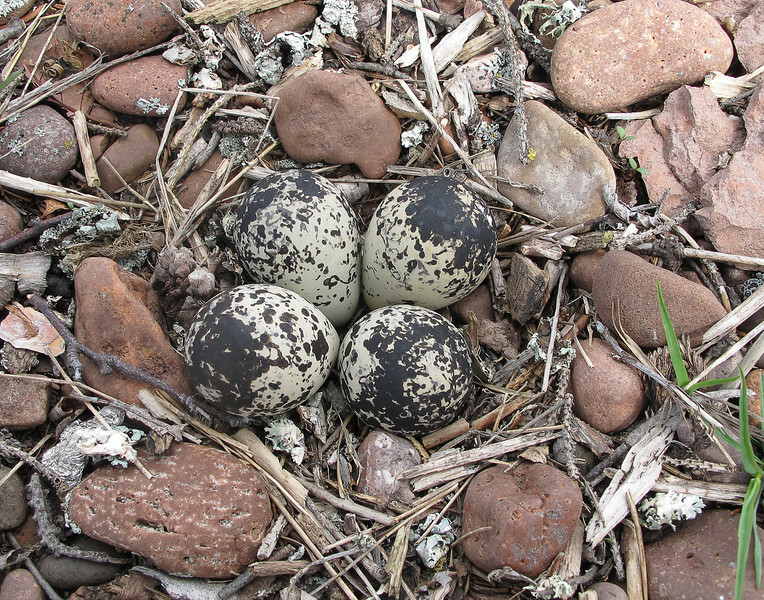 I was able to locate the nest right in the rocks with very little protection from trampling feet. The eggs hatched around Memorial Day. This week the four little ones were already running across the beach feeding on insects. 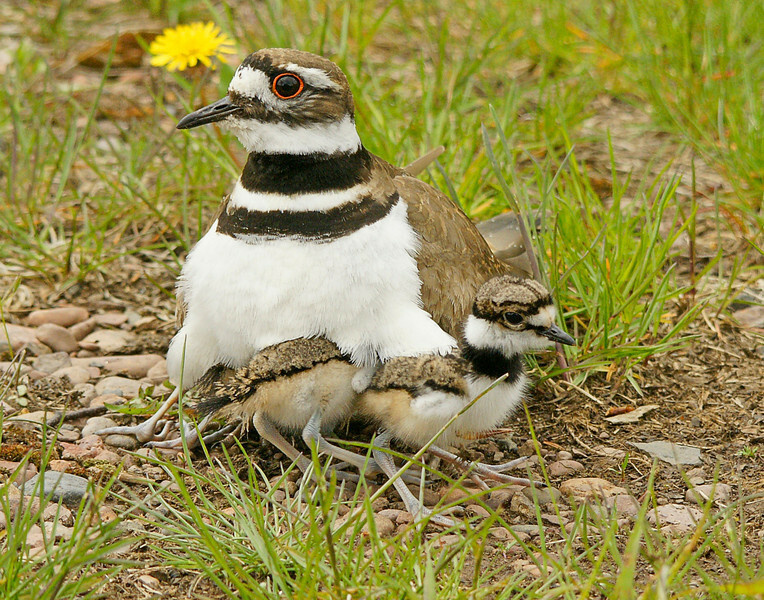 Every once in awhile they got scared or cold and crawled under mom or dad’s wings for protection. Mom and dad defend their babies against all kinds of dangers. 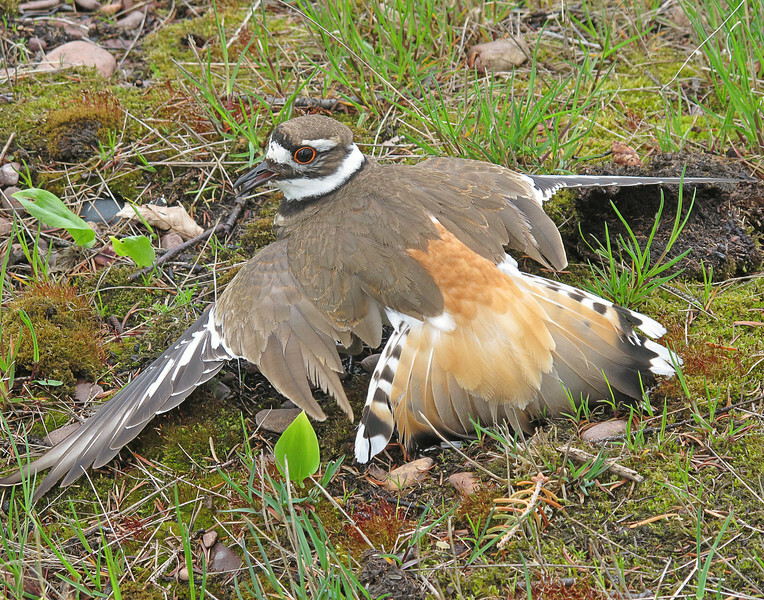 In just two hours they diverted several hikers, a car, dogs, and a chipmunk from coming too close to the little chicks. 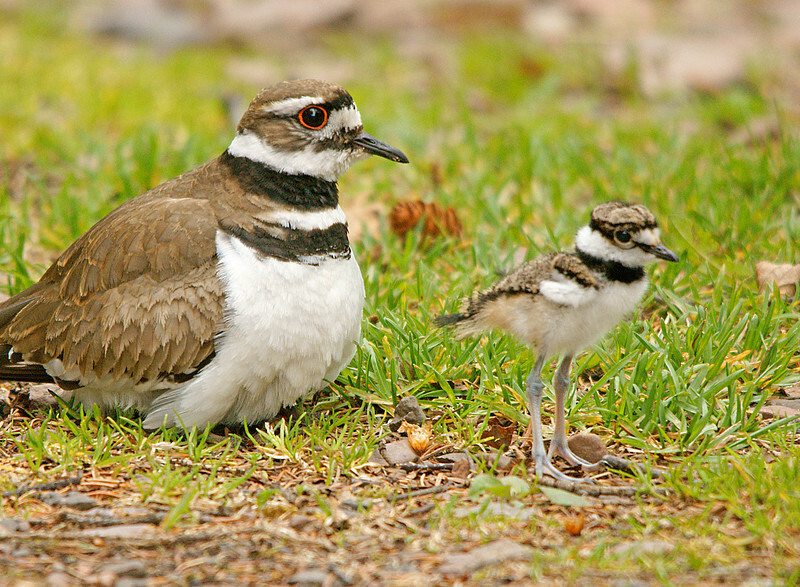 The adult killdeer act like they have a broken wing. It distracts whatever is too close to the babies. One of the adults lay in front of an oncoming car to get it to slow down so the babies could get out of the way. In the two hours that I photographed the chicks is seemed like no one else even noticed them. If you are scared just stick your head under mom's wing and everything will be fine. 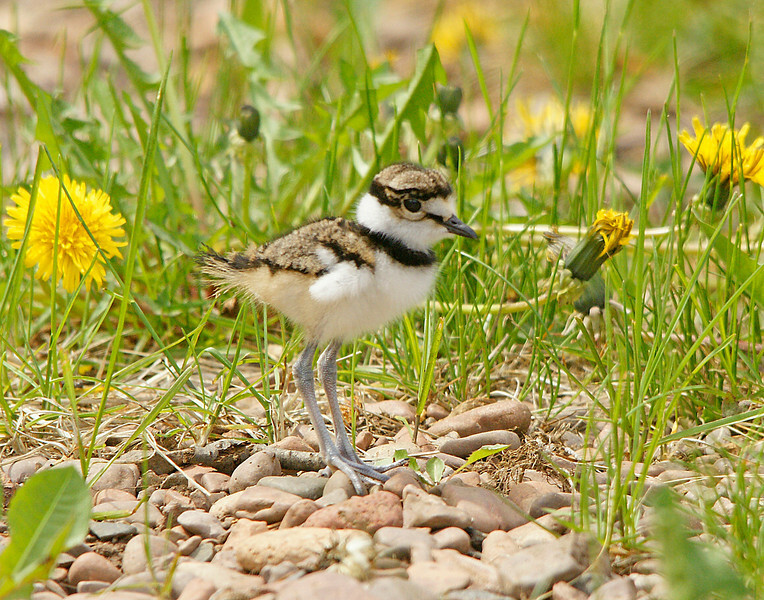 Killdeer chicks are so cute. They have only one ring around their neck while the adults have two. 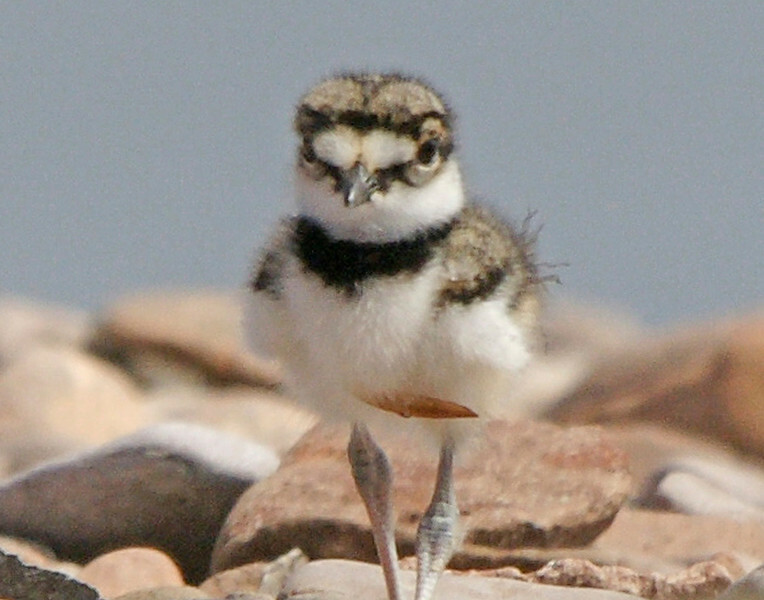 They appear to be born with fully developed long legs but just the tiniest little wings. 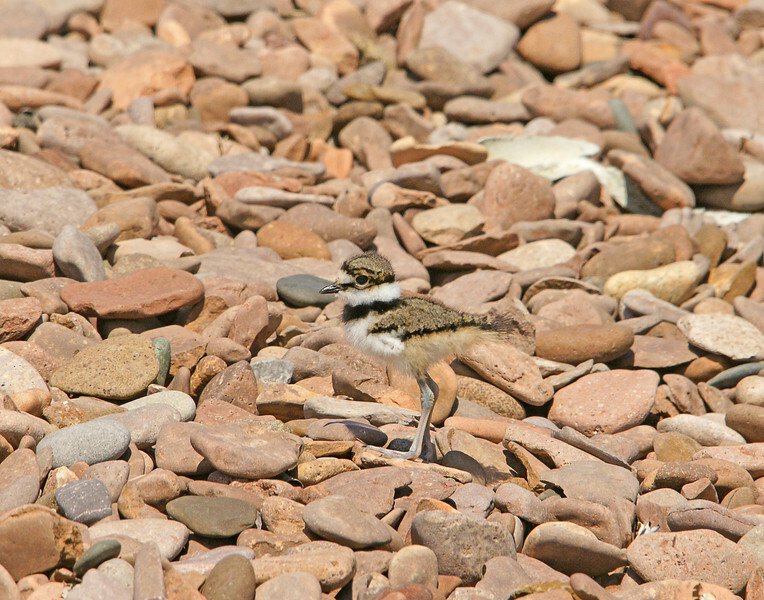 I could see why no one noticed these two inch tall chicks as they blend right into the rocks. 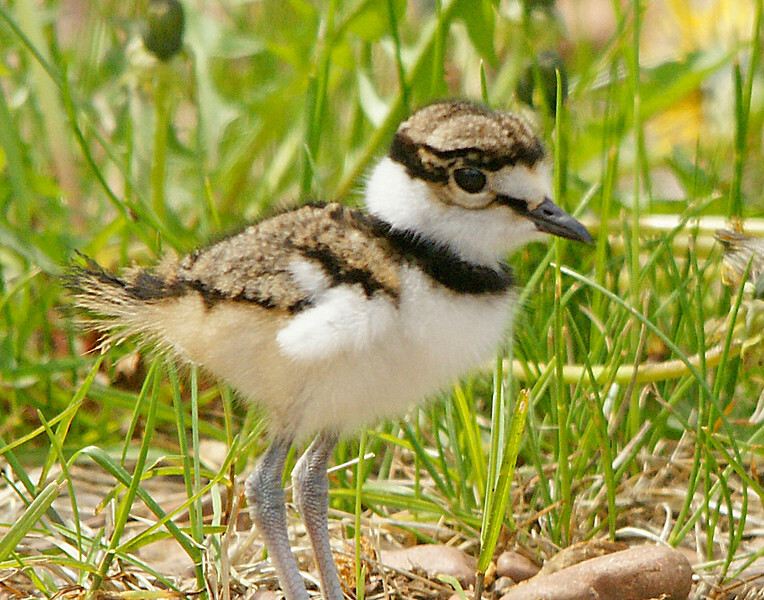 Looking at this little guy through the telephoto lens I thought he was going to trample me.